New Years is an excellent time to tally up your family tree for 2014. 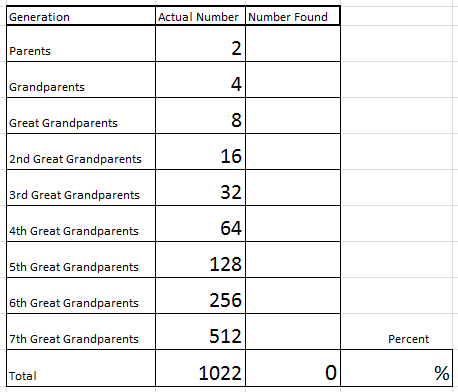 The goal of this exercise is to calculate the percentage of ancestors you know of up to your 7th Great Grandparents. 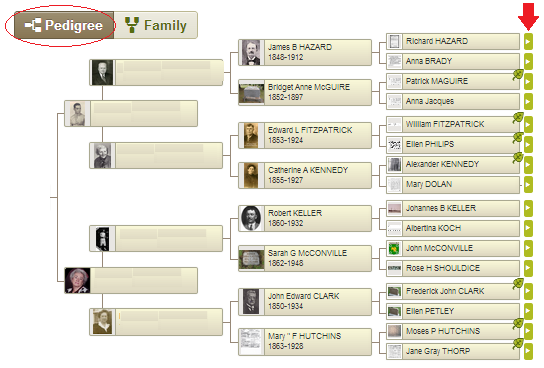 I've added a little guide to calculating your family tree in less than an hour if you have a tree on Ancestry.com. The last generation is your 3rd Great-Grandparents. 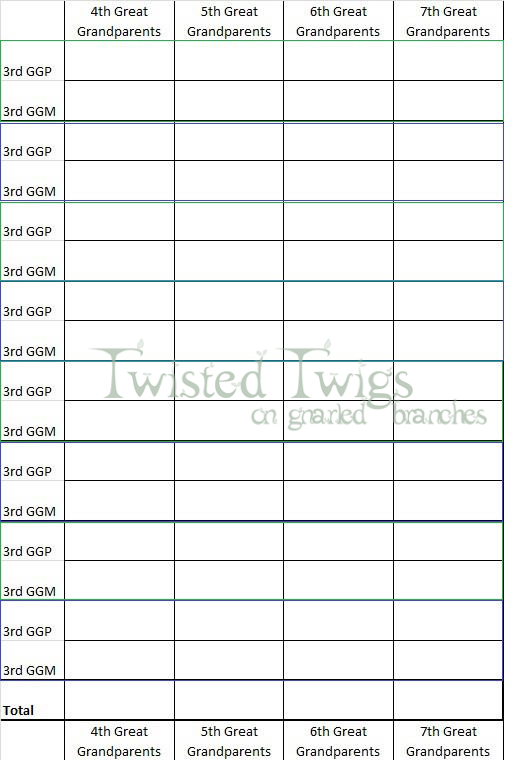 As you click the arrow after each 3rd GGP, their branch opens to show up to the 7th generation. Complete one of these for each parent. May you break down many brick walls in 2014!!!! What a great chart! Puts things in perspective. Of course, that also means it shows me how much I have yet to do!